Hendriksen's mother worked as a waitress, and his father was a Norwegian sailor and boxer who rarely spoke. They divorced when Henriksen was a child, leaving the boy to be raised by his mother. He was a poor student and often in trouble, and ran away from home when he was 12. He was a street urchin in New York through adolescence. At 15, he joined the Navy by lying about his age. After his discharge he stowed away aboard freight trains. For this and other petty crimes, he served several short stints in county jails. As a young man, Henriksen worked mostly as a painter, and eventually found a job designing and constructing sets for a theater's stage productions. His first speaking part on film was 1972's It Ain't Easy (Henriksen plays a trapper and snowmobile racer who becomes the prime suspect when his girlfriend is bludgeoned to death). 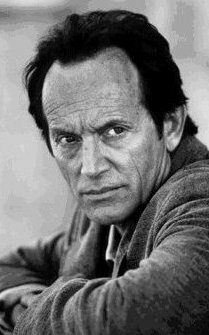 He first prominent role was as an FBI agent in Dog Day Afternoon (1975), and more recently starred in TV's Millennium, as an ex-FBI agent with psychic abilities. He played a district attorney in Prince of the City (1981), astronaut Wally Schirra in The Right Stuff (1983), a cop in the original Terminator (1984). In Aliens (1986) and Alien 3 (1992) he played Bishop, a gruffly sympathetic android who did nifty tricks with a knife. Henriksen was functionally illiterate until his acting career began to take off, and he taught himself to read from scripts. In his 30s, he studied at New York's Actors Studio.